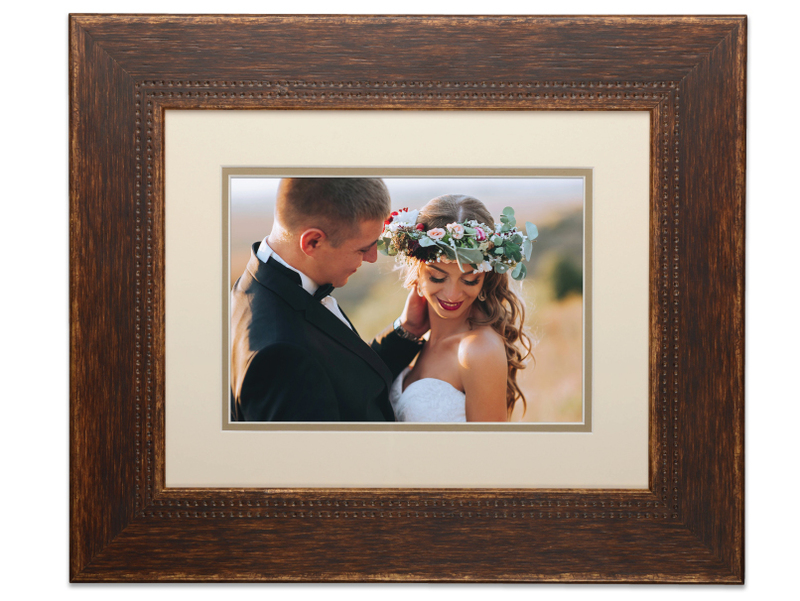 Photographers prefer our superior quality wood and metal frames in a range of colors with professional options like matting or acrylic to protect the print. These long-lasting pieces arrive ready to hang in the home, studio or gallery. All Framed Photographic Prints are finished products and sealed with black paper backing. Production in-lab turnaround time is 3-5 business days. Our Framed Photographic Prints are available in a variety of sizes. From 5x5" to 24x36". 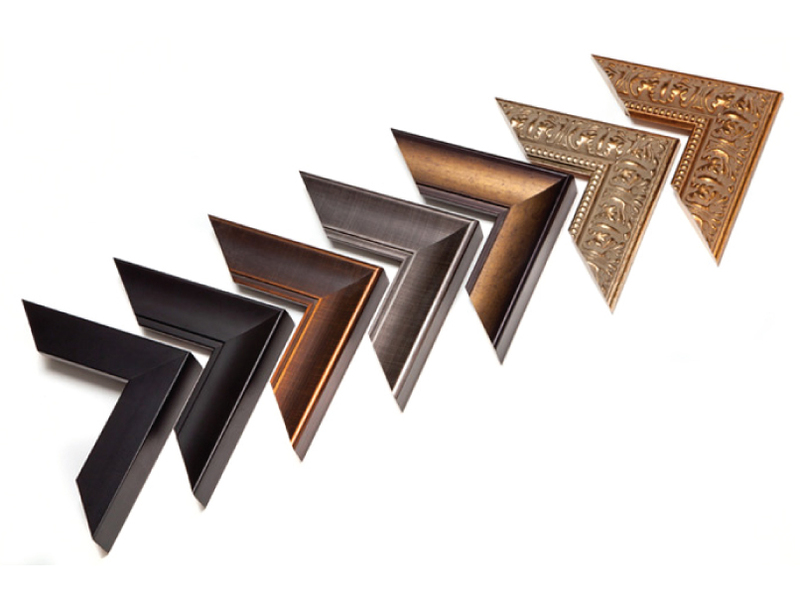 Choose from metal and wood frames ranging from classic to modern. See Frames tab for details. 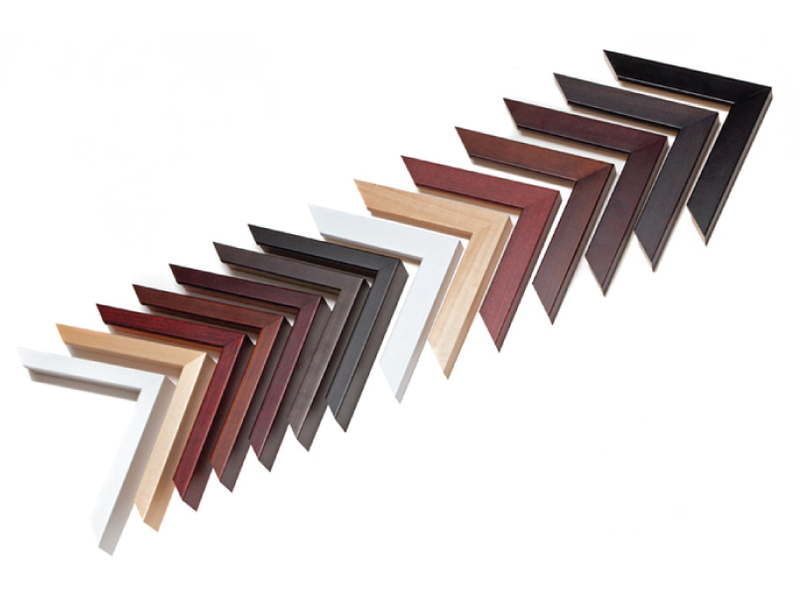 Wood Moulding Frames in Basic, Rustic, Modern and Gallery Series are made with genuine natural wood. 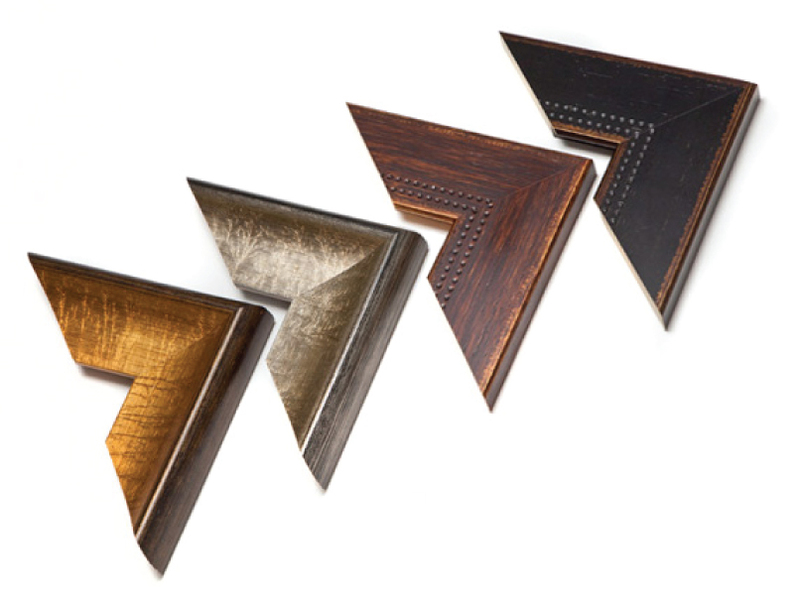 These handcrafted frames have a rich grain and slight variations in finish. 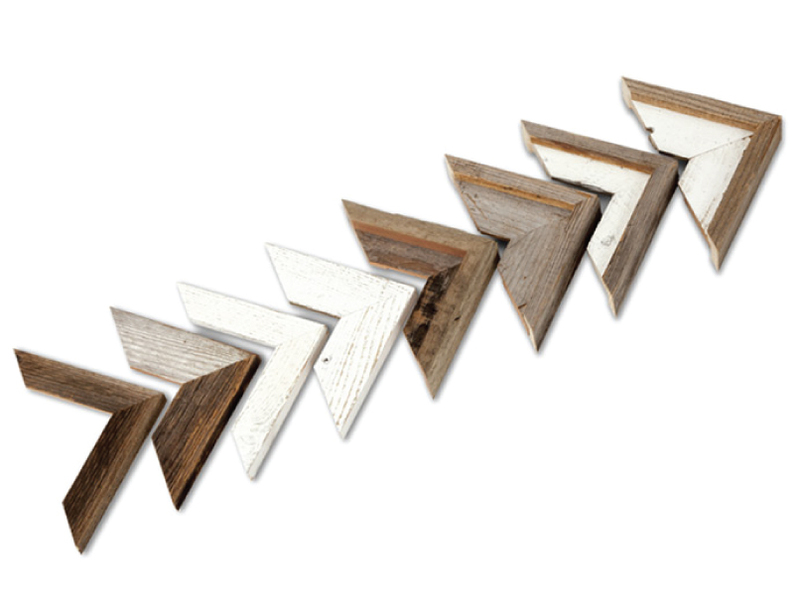 Barnwood Frames are re-purposed from old barns, floor boards, marine wood and fences. The wood is cleaned yet retains its rough, time-worn imperfections so each Barnwood Frame is totally unique. Mats come in several hues to complement your images. 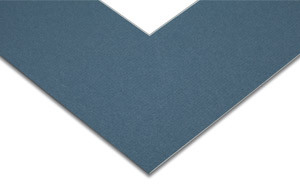 Choose a Single Mat or add a Double Mat in the same or accent color. See for colors. Photographic Prints are included with your Framed Prints. Choose between Luster or Metallic, mounted on 1/4" foam board before framing. 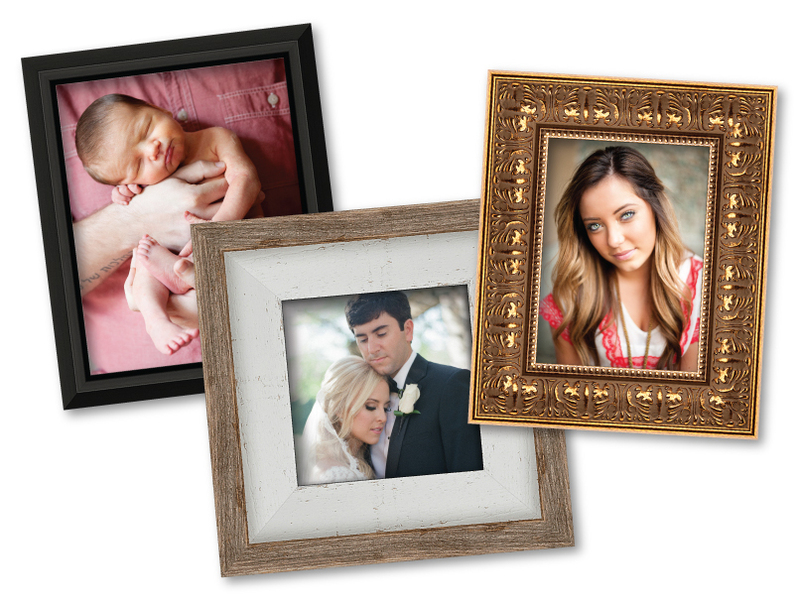 Personalize your small or large prints with a customizable Composite Design ranging from modern to retro. Our carefully curated Large Print Designs fit frame sizes 20x20" & 24x36". For more details, see our Composite Prints page. Optional Acrylic can be added to protect the front of your print. 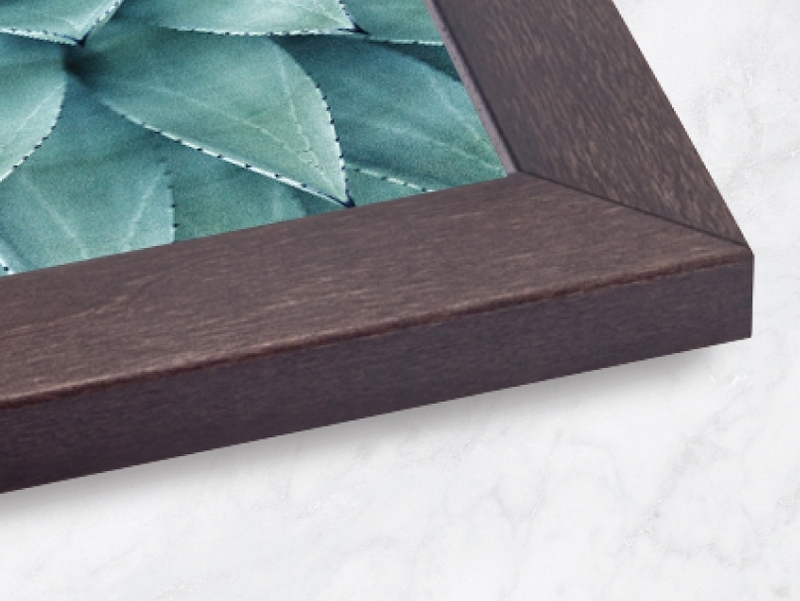 Framed Photographic Prints larger than 12x12" are finished with a wire hanger; 12x12" and smaller prints include a sawtooth hanger. 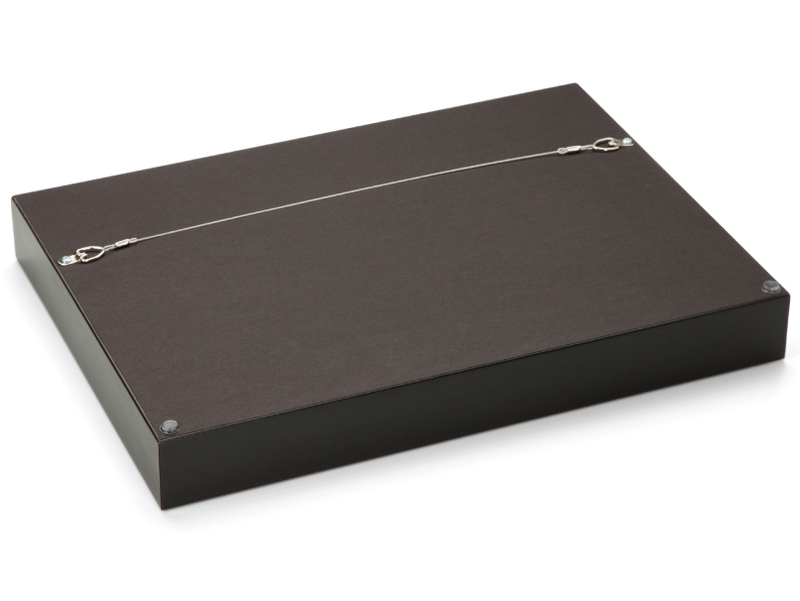 All Framed Photographic Prints are sealed with a black paper backing. Depending upon the overall finished size, choose single window mats or multiple window mats in various configurations. 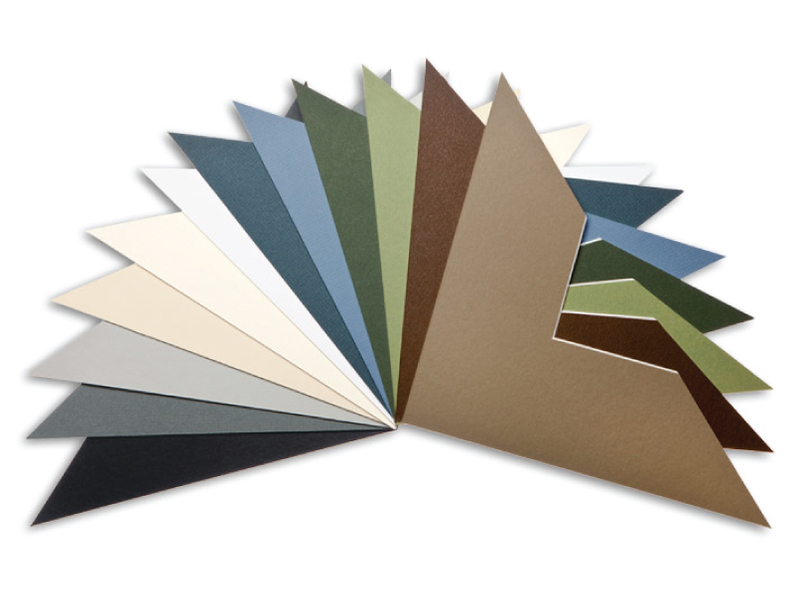 14 Mouldings in Black, Charcoal, Walnut, Mocha, Cherry, Natural and White in Flat and Box profiles. 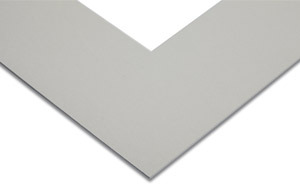 Sample set contains full-size corner pieces. $35. 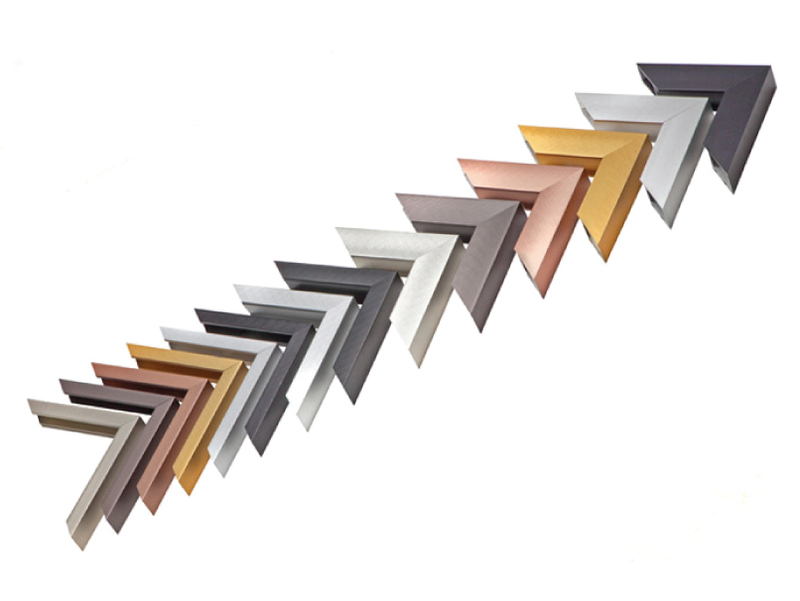 12 Mouldings in Black, Silver, Gold, Copper, Dark Pewter & Light Pewter in 1-1/2" and 5/8" profiles. Sample set contains full-size corner pieces. $35. 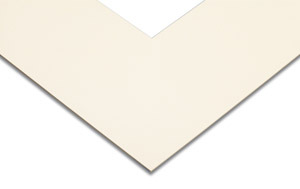 8 Mouldings in Natural or Whitewash in 1-1/2" or 2-1/4" width, with or without a Natural Barnwood Cap. Sample set contains full-size corner pieces. $25. 4 Mouldings in Black Rustic, Walnut Rustic, Silver Modern and Gold Modern. Sample set contains full-size corner pieces. $20. 7 Mouldings in Black Block, Black Scoop, Bronze Scoop, Gold Scoop, Pewter Scoop, Silver Classical and Gold Classical. 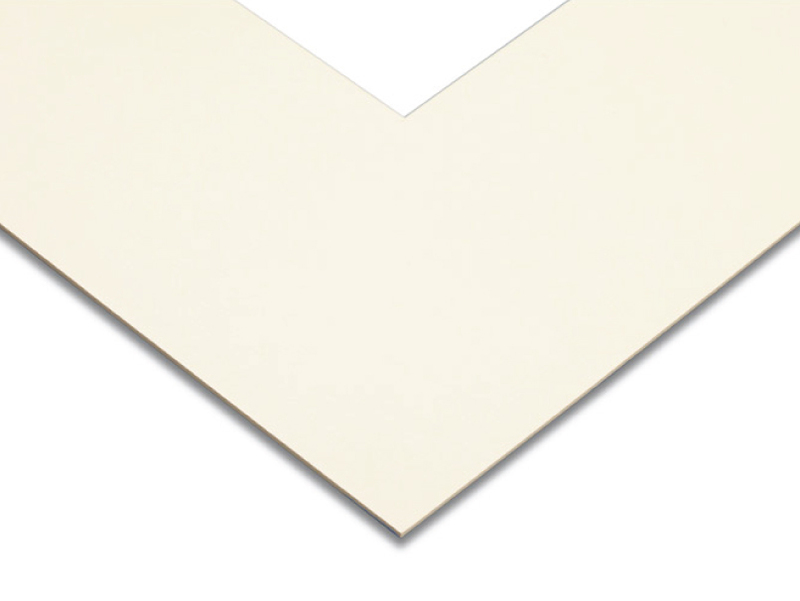 Sample set contains full-size corner pieces. $25. Our Mat Corner Sample Set includes 1 corner piece of each of our 13 Mat colors. Corners are approximately 8". Sample set contains full-size corner pieces. $12. 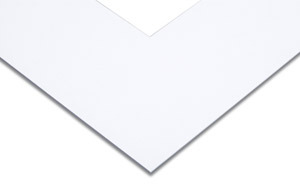 Price includes a Luster Print mounted on 1/4" Foamboard and inserted into the frame. Each frame is finished with black paper backing and either a wire hanger for larger sizes or a sawtooth hanger for sizes 11x14", 12x12" or smaller. Additional pricing for Metallic or Deep Matte Prints available in BRI ROES.